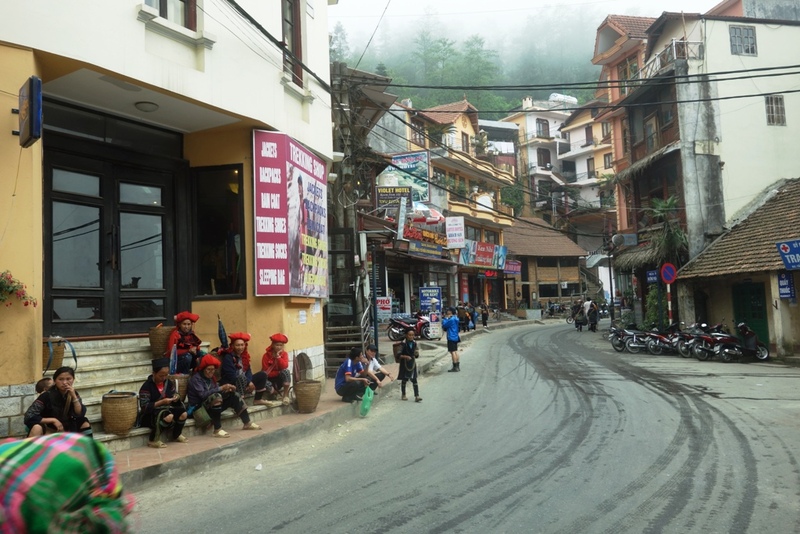 Sapa was one of those places we were not very sure we would want to go to. 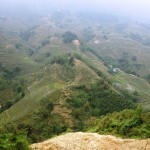 We had heard so many different opinions on it and not all of them very positive that we wondered if its worth the 10 hours to get there from Hanoi. Some people were saying it’s very touristy. And it is, but this is part of having beautiful places to visit, tourist will make their way there to see the beauty that you are seeking as well. 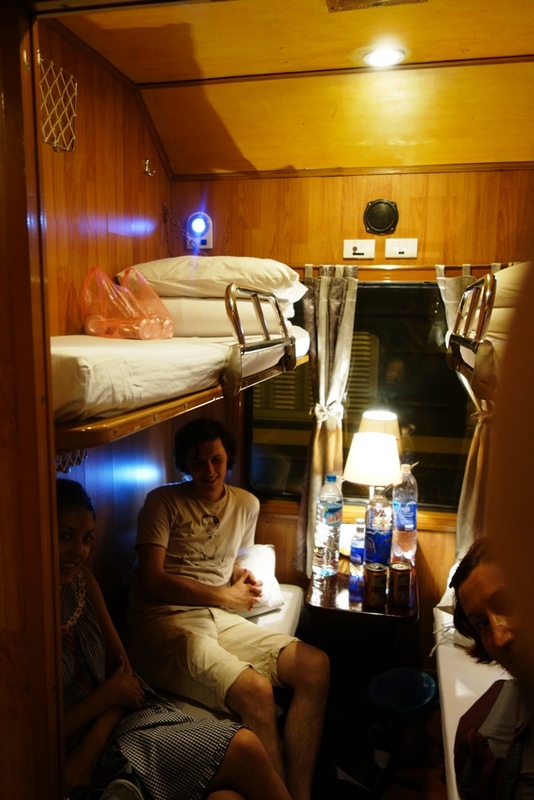 Other people were saying the over night train (which is pretty much the only option that makes sense to get there) is crazy, busy, noisy, and hard to sleep in. For us it was busy, but that gave us the opportunity to meet new people. 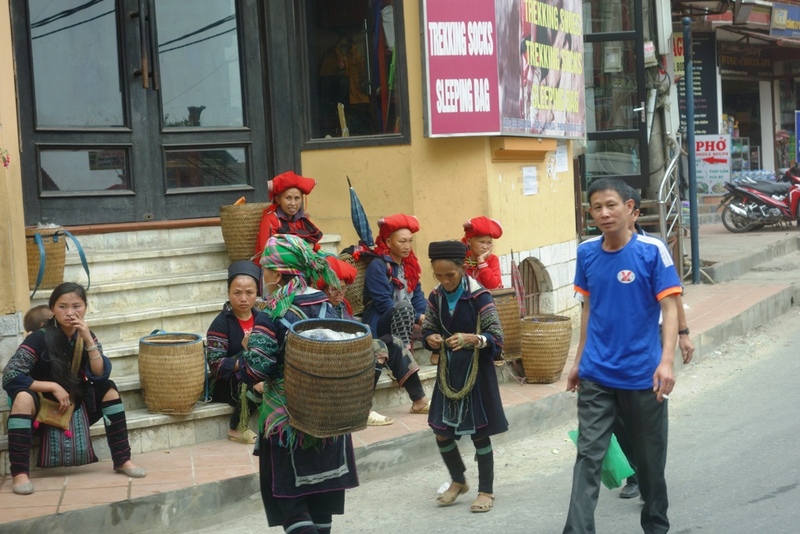 On the way to Sapa we shared stories with a young couple from Australia. Sin and Kelvin, a couple from Singapore, were a fun encounter on the way back. We found out interesting things about their country as they were trying to persuade us into visiting it. We will make sure to contact them when we will be ready to do that And we got to sleep almost like babies. Well, almost. We also read that organizing the trip by yourself can be a little bit of a challenge as there are many points on the way where you might not know what to do or what the next steps are. 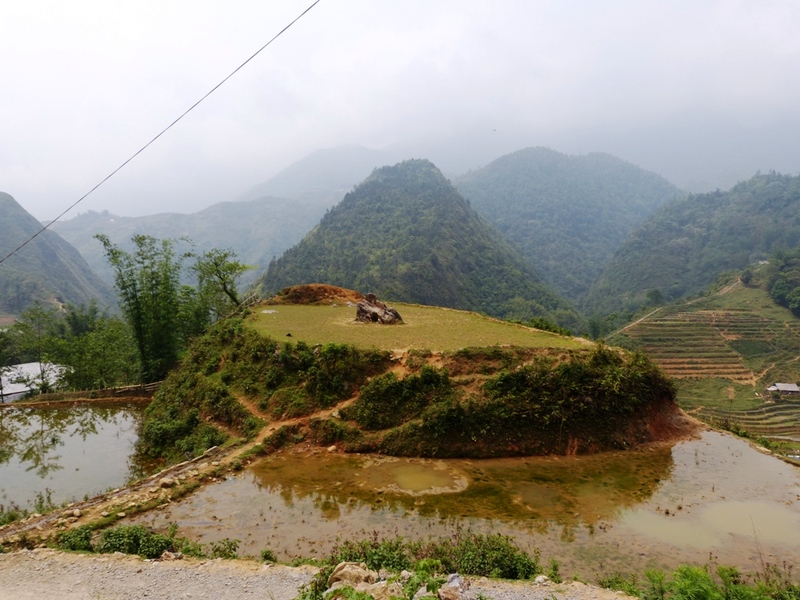 The trip consist in a ride from your hotel to the train station somewhere around 8PM, then overnight train, and then a mini van from Lao Cai train station to Sapa village (at 5 o’clock in the morning!). Some more research revealed that there is an easier way to do it, by using an agency to help you book everything. This can be either found at the hotel you are staying in Hanoi or picking up a travel agency on the street or on the internet. 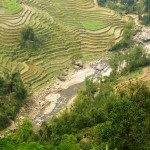 We chose to use Halong Sapa Tours as it had good recommendations on Trip Advisor. They had a full package that even included a pickup from the airport to their office and at the end a cab ride to the hotel we were going to stay in Hanoi. We are not really used with the packages so it took a bit to get into the ‘follow what this man says you should do’ mood. There is also a bit of a cattle feeling when local people that don’t speak English very well herd you from the van to a restaurant where you give up your voucher for the train tickets hoping that you will really get the tickets before the train will leave. 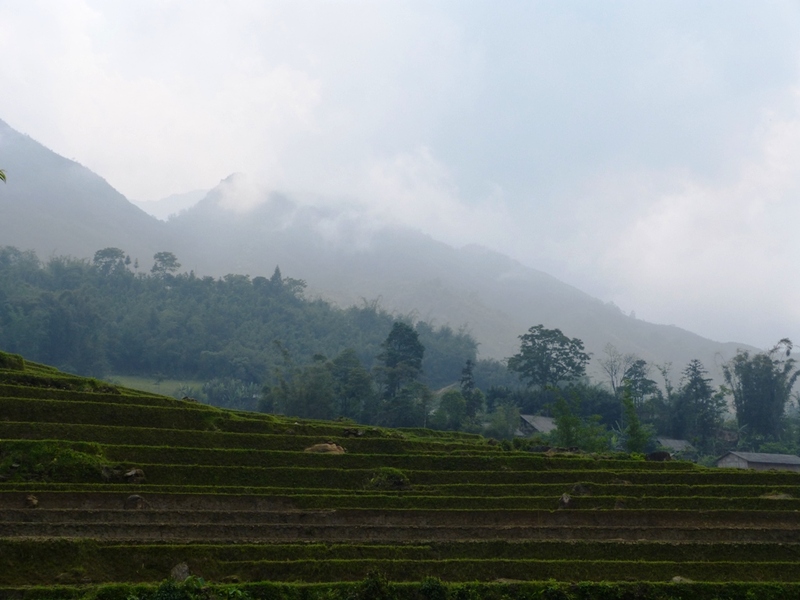 But the Sapa Eden Hotel that came as part of the package was a nice one, with friendly people and good food, built on one of the hills overlooking the rice terraces that you are there to see. 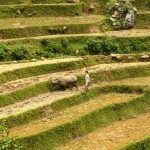 We only stayed one night in Sapa, but that gave us almost two full days there. 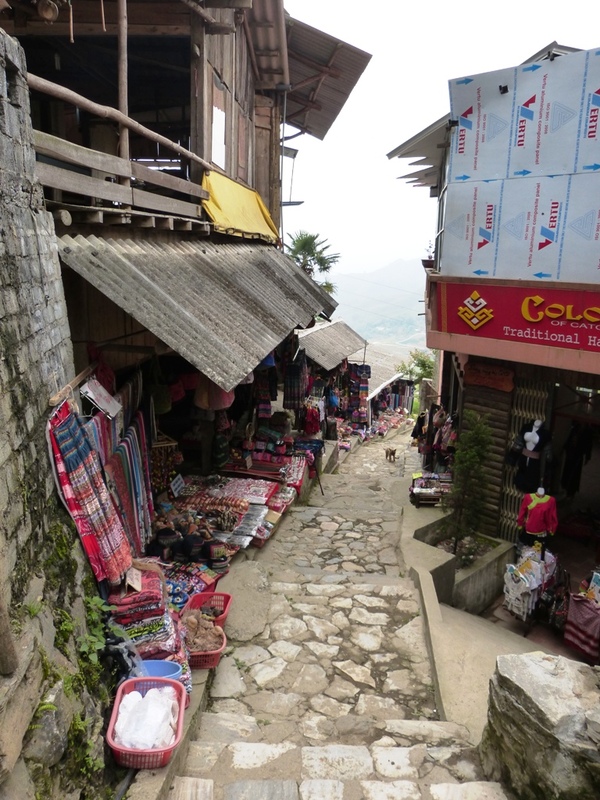 Sapa town in itself is small, but it’s full of guest houses, hotels and restaurants for all tastes and wallets. People don’t go there for the town though, they go there for the hill tribes, and the more remote villages that kept their way of living for hundreds of years. 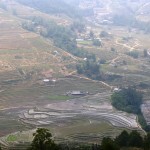 They go there for the man made rice terraces of an amazing green when the rice it’s at its fullest. When we went it was not really the right time, as people were just starting to plant the new crop, which made it for a more brownish experience, but it’s still amazing to see high hills, cut into terraces with men and water buffalo working along the steep sides. 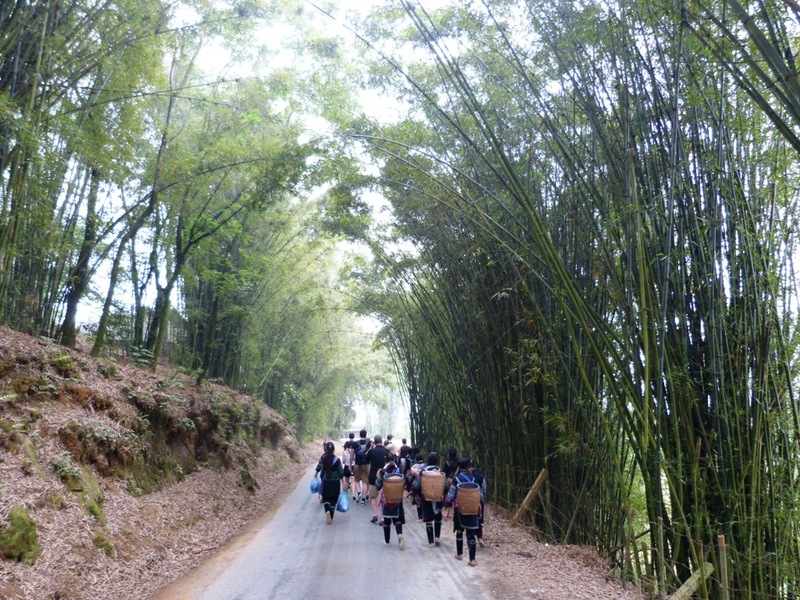 Phang Xi Pang, or more known to the westerners as Fansipan, the tallest mountain in Indochina, with its 3,143 meters height, was more like a high school girl for us. Shy, hiding behind the clouds and the rain, not really wanting to show us its splendor. We did get a few hazy pictures though! You can choose to trek the mountain, there are 3, 4 days trekking tours available, but it’s more challenging than hiking on other mountains. There are no huts on the way and not many places are renting the necessary gear. And there are not yet enough clients for these tours to become something like the ones on Kilimanjaro or Himalaya either. While there, we chose to do what everybody does there, what the place is most prepared for. A visit to Cat Cat village, where you can see how H’mong people live and get to buy some souvenirs if you wish to (be weary though, once you buy something from one vendor all the other ones will feel entitled to sell you something as well). This walk also brought us to this beautiful waterfall where if you get at the right time you can see a local dance performance. 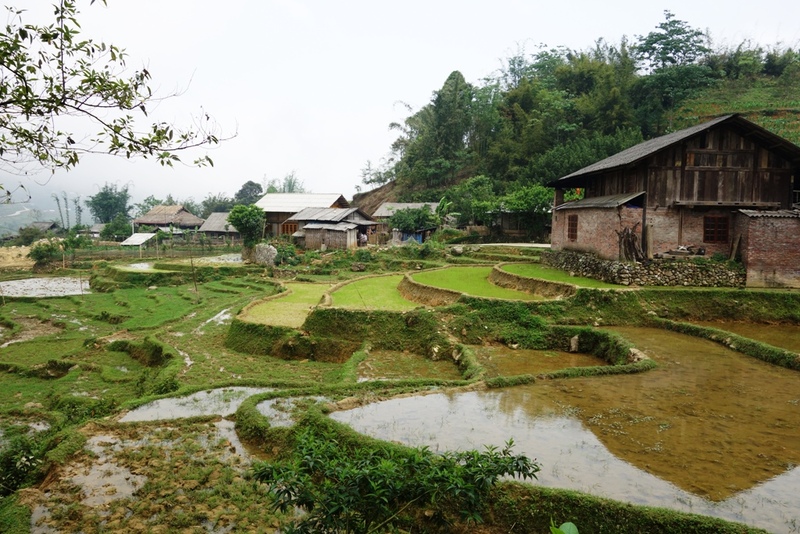 The second day we took a longer trek through rice fields and remote villages of Black H’mong and Red Dzao.Most of them still wear traditional dresses and still live according to ancient customs. Interestingly enough, although they live a few meters away from each other they do not understand each others dialects. This trip gave us more opportunities to meet new people. We had a family from New Zealand, parents and two boys, in the group with us, and our guide, a 20 years old H’mong girl, that spoke very good English and was interested in sharing her culture and knowledge with us. She amazed us with her strong will, of making something with her life, other than ‘just’ getting married, have kids and take care of her household, as other women in her village were telling her she ought to. Instead she wanted to open a shop to sell her handicrafts or a guest house. She still wanted to get married and have kids, but not at her age when she thinks she does not know what life really means yet. She did make our trip a delight, with her sprite spirit, singing and dancing all trip long, while talking with everybody on the street and making fun of any silly thing she was seeing on the road. 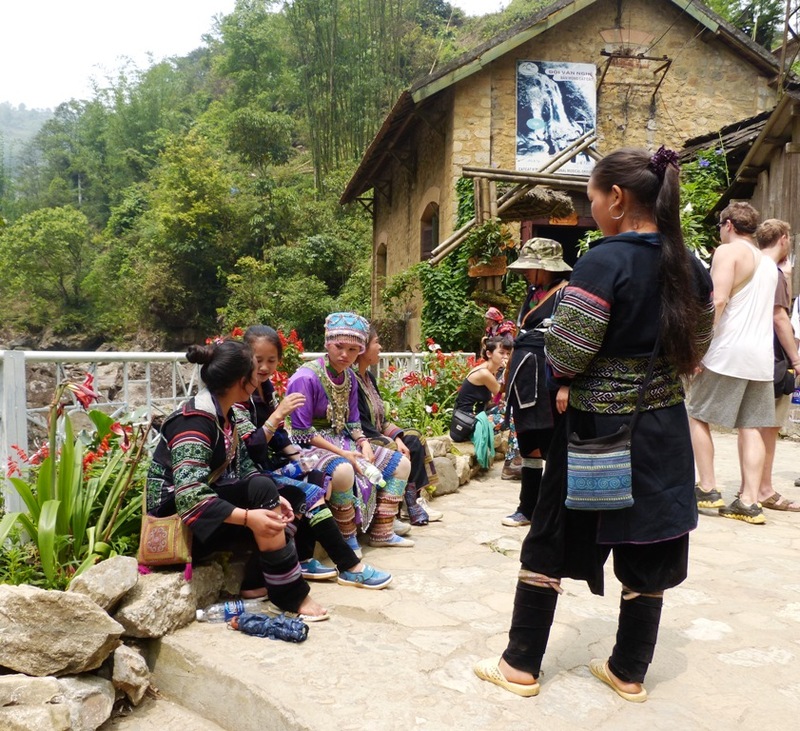 We had an interesting experience with a group of H’mong women that joined our group back in Sapa up to their village that we were aiming for. They were interested in finding our names and where we are coming from while telling us a bit about themselves. Their English was better than that of some people in places visited more by tourists. We could see how women there really work hard; all the way to their village, up and down on hills and rough roads they kept weaving the hemp they use for their clothing and handicrafts. A ball of hemp string is usually rolled around their right hand and they keep working it out while talking, walking, eating etc. they were also nice with us and made us some fern weaved presents, like flower wreaths and small animals. Once in their village, where we stopped for lunch, they brought all their merchandise to our table for sale which explained part of them accompanying us. They have not been as insistent as the sellers around there can get, and after we confirmed twice we do not need anything they left us to our business. 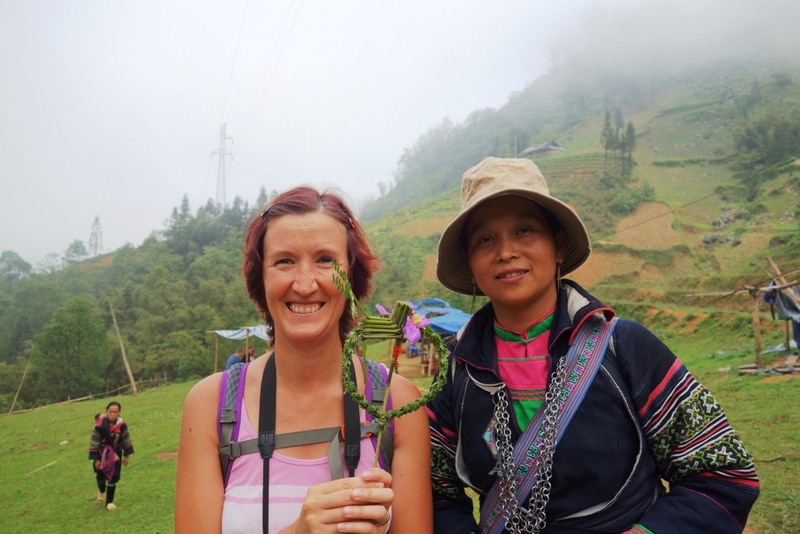 We then walked through the H’mong village and then through a Red Dzao village, learning about their way of living and how the tourism are now shaping their lives (there are lots of home stays that you can choose from if a hotel is not romantic enough for you). After a well deserved beer back at the hotel we embarked on the mini bus and then the train back to Hanoi. Read more about our adventures there in a post that will follow shortly. Wow! This seems so exciting! I love that you meet such interesting people! The terraces intrigue me. 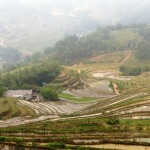 What are the barriers between terraces made of that they do not collapse? And I delight in the high quality photos, like National Geographic!